I doubt if anybody noticed, but my entire blog went missing for the better part of last week. One moment I was checking my email on my mobile phone, the next I was locked out of my Google account, due to what they termed suspicious activity. 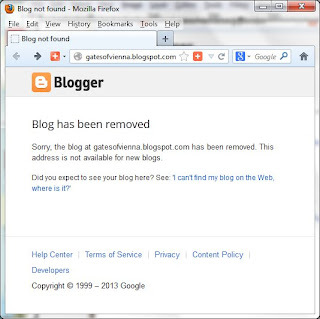 I immediately tried to view my blog, only to be greeted by a heart-warming "Blog not found" message. I've only been blogging for about a year and a half now, but needless to say, I wasn't exactly keen on watching all that time circle down the drain. The first thing I did after getting the message (aside from panic of course) was to google around for a solution. At least I wasn't locked out of their search engine. And it didn't take very long before I realized my problem wasn't unique. The general concessus was that it would eventually sort itself out. So I basically had to log in from a PC and do an account verification (the same kind you do over the phone when creating a new account) in order to regain access to my Google account. Then I had to play the waiting game. 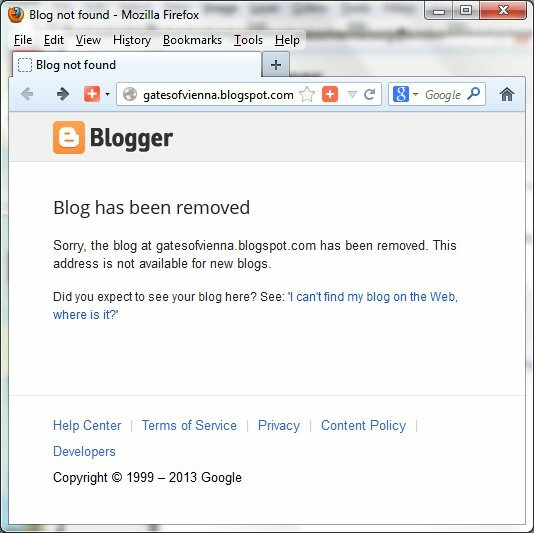 Each time I tried to view my blog and I received that dreaded message (about a hundred times in all) was like a slap in the face. But just like magic, I tried viewing it sometime on Friday, and there it was, as though it never went missing in the first place. It has been back ever since. The whole experience has got me thinking about putting something as important as my author platform in the hands of a third party. I mean, what would happen if they decided to close up shop one day? Have any of you ever experienced anything like this before? If so, what can you do to prevent it from happening again? 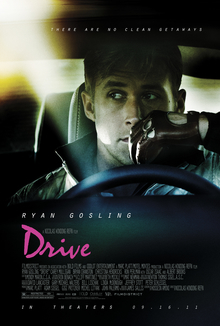 I must admit, I was a wee bit skeptical going into Drive. This was due in part to my experience with director Nicolas Winding Refn's previous movie, Valhalla Rising. But the same deliberate pacing that made Valhalla Rising a barely-watchable snorefest works beautifully in Drive, largely because of its 80s-inspired soundtrack and atmosphere. 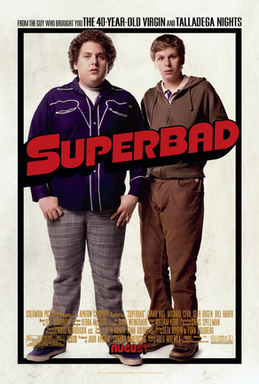 Following in the footsteps of American Pie, Superbad tells the story of a group of teenage boys hoping to get laid before getting shipped off to college. Highly original, I know. 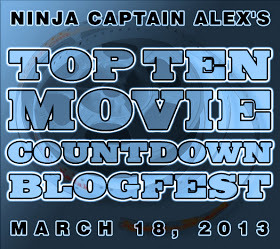 But what sets it apart is a number of geniune, laugh-out-loud moments that stick with you long after the credits roll. This movie excels as not only a horror film, but as a decent action film too (unlike the recent string of Resident Evil movies, which fails at both). 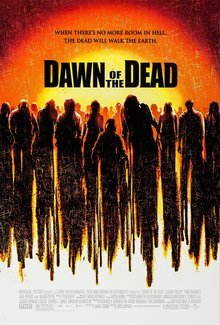 I especially love the way the zombie apocalypse is introduced in the beginning, and how the tension surrounding the survivors continues to build until the very end. Scarface caused quite the stir following its original release. It easily pushed the boundaries of what was considered acceptable in terms of violence and profanity (even though most of it would be considered tame by today's standards). So in a way, Brian De Palmer effectively paved the way for directors like Quentin Tarantino and Robert Rodriguez. Inception fell just shy of becoming my favorite science-fiction movie of all time. But Christopher Nolan's tale of a near future where ideas can be extracted through shared dreams very much deserves a place on any Top 10 list. Rarely is a sci-fi movie executed with as much precision. The result (as a friend of mine would put it) is a 2 hours 30 minutes movie that feels more like 1 hour 30 minutes. In this dark fantasy movie, Guillermo Del Toro paints a portrait of the world as seen through the eyes of a 12-year-old girl. I've always loved the director's visual style since movies like Hellboy and Mimic, but never has that vision been as fully realized as it was here. A visually striking work of art that belongs alongside the Mona Lisas of the world. 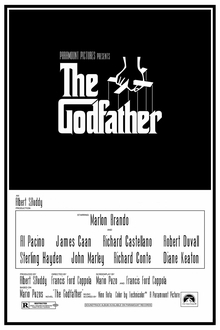 If ever there was a movie that lived up to its reputation, then surely that movie must be The Godfather. It is one of those rare gems that manages to do its source material justice, a book I recently had the pleasure of reading. It is every bit a movie about family values as it is about organized crime, and we get to watch a reluctant (and quite young) Al Pacino step into his career-defining role. I love a good revenge story as much as the next man. 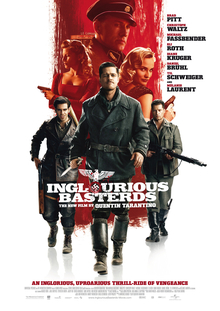 So from the moment I heard about Quentin Tarantino's take on the fall of the Third Reich, I was immediately sold. Only someone like Tarantino could set what is essentially a sphagetti western in Nazi-occupied France, and make it work. Once upon a time, a pair of little known filmmakers envisioned a movie that would not only raise the bar for special effects, but tell an awesome story too. It's anybody's guess why the Wachowskis have been unable to replicate the success of The Matrix ever since, but there is no denying that what they left us with is a landmark science-fiction movie. The final part of Peter Jackson's the Lord of the Rings is also my favorite movie of all time (till date). There's a reason why it won all 11 academy awards back in 2004. Put simply, The Return of the King (and the trilogy as a whole) is not just a movie, it is an experience. I can't help but wonder whether the current trilogy of Hobbit movies has any hope of finishing anywhere near as strong. Only time would tell I guess. It's the first Wednesday of a new month, which means it's time for another round of IWSG postings. The IWSG was started by Alex J. Cavanaugh, where members can share their writerly insecurities with one another, and also offer some much needed encouragement. I received my very first form rejection this past weekend. It wasn't from an agent or a traditional publisher as you might expect, but from Amazon Publishing. 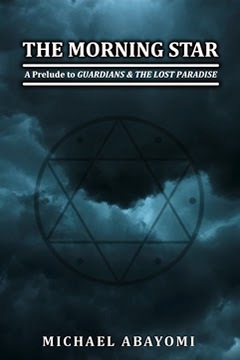 I'd submitted a short story to their Kindle Singles program, an exclusive listing reserved for shorter works i.e. 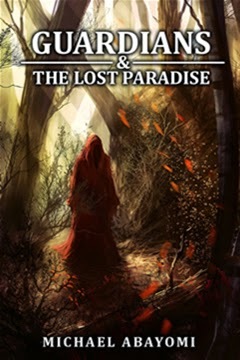 short story, novellas etc. It was a spur of the moment decision, and in retrospect, I guess it was a long shot, since the program favors non-fiction. And of the seventy-something fiction titles currently listed, most (if not all) of them appear to be works of literary fiction. Still, it was an avenue worth exploring, and I can at least say that I gave it a shot. Now I can get back to my current project, and also start scheduling my posts for the Blogging from A-Z Challenge next month. That's right, I finally signed up for the challenge, even though I wasn't going to until I'd written a good number of my posts beforehand. Right now, I only have a vague idea of some of the 26 books I'd be highlighting for the challenge. 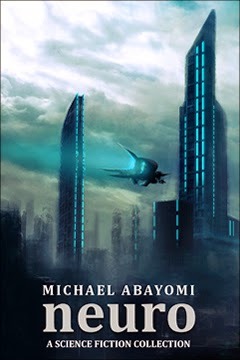 I would ideally love to stick with books under the speculative fiction umbrella, since that is what I love to read and write. Hopefully, the challenge wouldn't take away too much time from my current project, another reason why I need to start scheduling those posts. I'd better get to it then. What about you? Are you doing the 2013 A-Z Challenge? And if so, are you going with a theme?